A U.S. Navy destroyer sailed through waters claimed by Russia in the Sea of Japan on Wednesday, challenging Moscow's ownership of the area for the first time since the end of the Cold War. 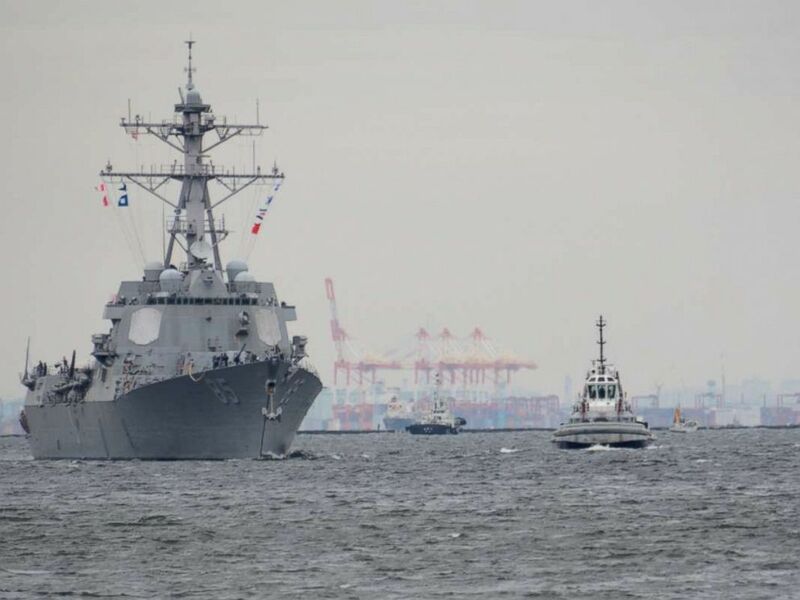 The guided-missile destroyer USS McCampbell traversed through part of Peter the Great Bay in what the U.S. refers to as a "freedom of navigation operation," according to the U.S. Navy's Pacific Fleet. It was the first time the U.S. has conducted such an operation through the bay since 1987, a U.S. Navy official told ABC News. "McCampbell sailed in the vicinity of Peter the Great Bay to challenge Russia's excessive maritime claims and uphold the rights, freedoms, and lawful uses of the sea enjoyed by the United States and other Nations," Navy Lt. Rachel McMarr, a Pacific Fleet spokesperson, said in a statement. The Arleigh-Burke class guided-missile destroyer USS McCampbell (DDG 85) returns to Fleet Activities Yokosuka (FLEACT) following its patrol of the U.S. 7th Fleet area of responsibility on Oct. 5, 2015. The operation was first reported by CNN. Maritime law dictates that a nation's sovereign territory only extends 12 nautical miles from shore. However, Russia claims the entirety of Peter the Great Bay, extending well beyond 12 nautical miles from sections of the coast. The Navy official said the operation was not meant to single out Russia, but is part of a comprehensive approach by the service to keep international sea lanes open. The U.S. frequently conducts freedom of navigation operations in the South China Sea to challenge China's claims to islands which are contested by a number of countries in Southeast Asia. The McCampbell's operation comes amid heightened tensions between Washington and Moscow on a range of issues, including the announcement by Secretary of State Mike Pompeo Tuesday that the U.S. would pull out of the Intermediate Range Nuclear Forces Treaty (INF) in 60 days should Russia fail to return to compliance. On Wednesday, Russian President Vladimir Putin responded, saying that if the U.S. were to exit the treaty and build such missiles that Moscow would follow suit. The U.S. has also protested the Russian detention of dozens of Ukrainian sailors transiting through the Kerch Strait last month.